The oldest and largest lighted holiday boat parade on San Francisco Bay is alive with 75-100 boats brimming with lights and holiday decorations. Members of the St. Francis Yacht Club, Fisherman's Wharf Fishing Fleet, Golden Gate Yacht Club, PIER 39 Marina, and the Sea Scouts participate in the event which occurs near Pier 39. The parade route will begin just off of PIER 39, proceeding west past Fisherman's Wharf, Fort Mason and the St. Francis Yacht Club, and will turn around off of Crissy Field to return along the waterfront. After the parade, the best viewing is on Jefferson Street between Jones & Taylor Streets at the Sportfishing Harbor. Time: 6pm. 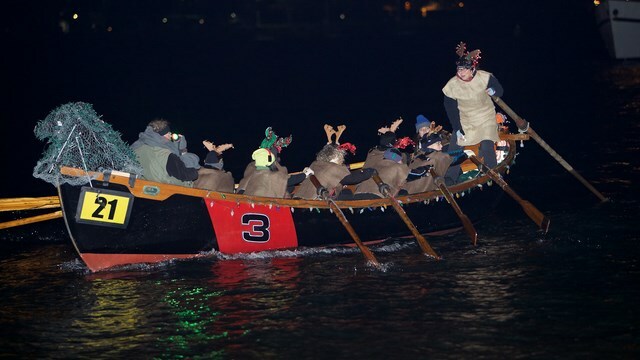 Fisherman's Wharf Community Benefit District joins St. Francis Yacht Club to present the oldest and largest lighted boat holiday parade on San Francisco Bay. 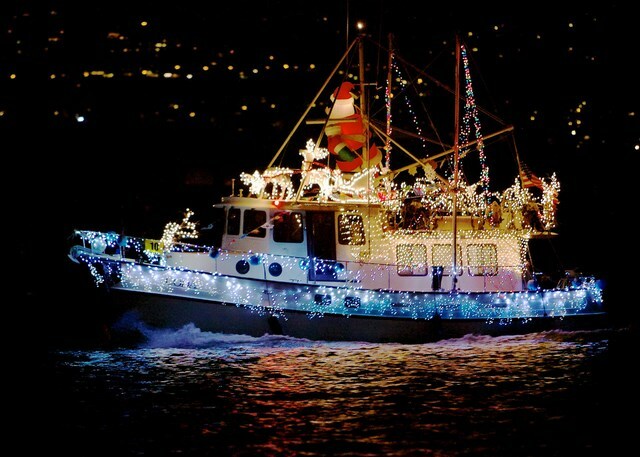 More than 75 boats festooned with lights & holiday decorations provide a holiday tradition celebrated since 1994. 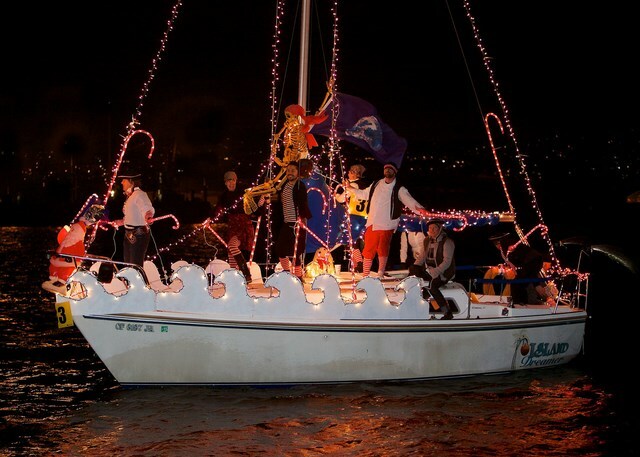 The St. Francis Yacht Club organized the first lighted boat parade in the Bay Area years ago and it just keeps growing according to John McNeill, Commodore. Combined with the many homes along Marina Boulevard that are also illuminated for the season, the waterfront becomes a spectacular sight for all to enjoy. Spectators can get a great view from the walkway along the Aquatic Park, PIER 39 Marina Green, and Crissy Field Beach. Restaurants along the Wharf will also offer a fantastic vantage point as well as traditional holiday menus. The Fisherman's Wharf Fishing Fleet boats will stay lit until January. After the parade, viewing of these spectacular lights can be seen most prominently on Jefferson Street between Jones & Taylor Streets at the Sportfishing Harbor. Additional listings from around the state: Click Here!